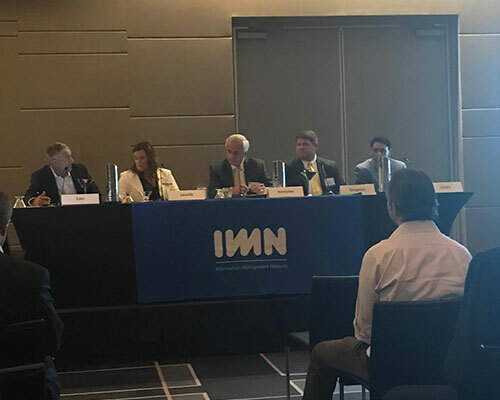 On October 16 and 17 the Hamister Hospitality Fund team (including Chairman and CEO Mark E. Hamister, Executive Vice president and Chief Investment Officer Daniel M. Hamister and Investor Relations Director Eric Nielsen) attended the IMN Real Estate Investors Conference in Miami, Florida. The team met with dozens of family office representatives who were interested in considering the Hamister Hospitality Funds. In addition Chairman Mark Hamister (center on the picture below) was invited to sit on two expert panel discussions presented for all attendees.